Healthy cookies? It can be done! The trick is swapping some of the butter in the cookies for heart healthy ground flaxseed meal. This not only adds flavor and texture but also keeps the cookies moist and delicious. The burst of strawberry taste in this recipe comes from using freeze dried strawberries. 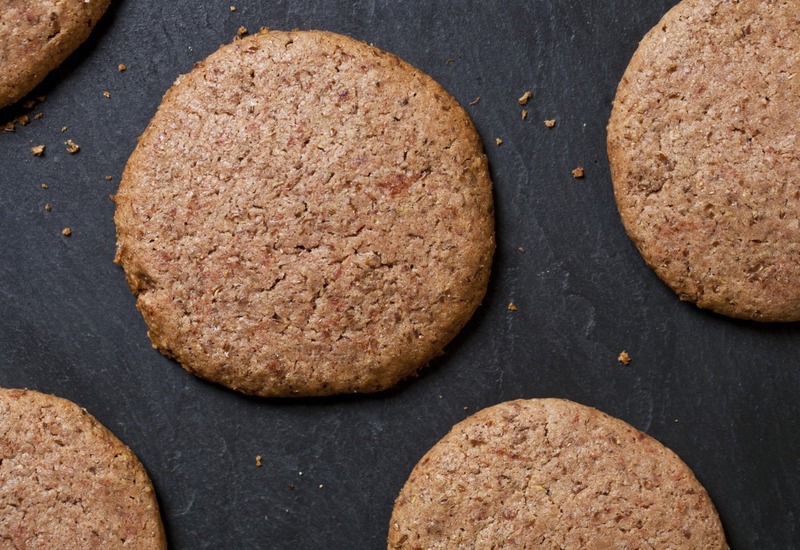 They can be ground up into a flavorful strawberry powder that really makes these cookies pop! In just about 30 minutes you will have a not-too-indulgent treat. You can purchase freeze dried strawberries near the dried fruits and nuts section of better grocery stores or at health food markets. Freeze dried blueberries or raspberries also work well in this recipe! Per Serving: 175 calories; 10g fat; 19.0g carbohydrates; 3g protein; 36mg cholesterol; 107mg sodium. I found the freeze dried strawberries at TJ's and this recipe surely worked! It rocked! Really good strawberry cookies! I like to snack a lot, but snacking isn't always healthy. These cookies are guilt free, and taste great.